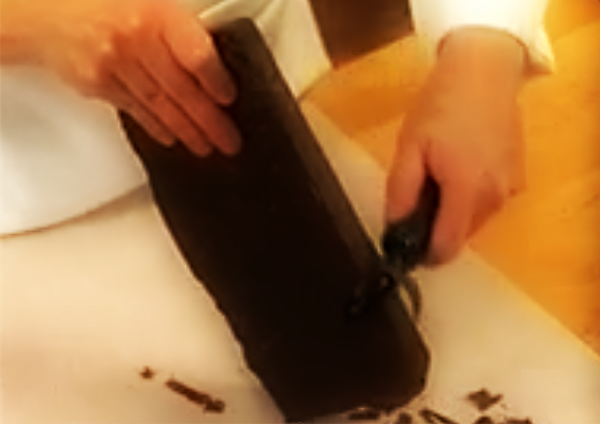 A number of recipes call for chocolate shavings, and you may be wondering how to make chocolate shavings. Perhaps the last time you tried, you used a the traditional method with a giant knife. You can also use a vegetable peeler. This method yields pretty chocolate curls - like pieces of curled ribbon. The downside is that you can only make a single shaving at the time; however, you can make long curled shavings.